Land Rover Wichita has a great selection of pre-owned vehicles. Land Rover Wichita provides drivers from Kansas, Oklahoma and beyond with an incredible selection of luxury SUVs. Our lineup of Land Rover and Range Rover models is sure to please drivers with a taste for the finer things in life, and our Land Rover service and finance experts are here to ensure your automotive experience is as pleasant as possible. The next time you’re in need of Land Rover sales, maintenance or financing, turn to Land Rover Wichita. We sell the full lineup of new Land Rover vehicles at our dealership near Salina, KS. Come test-drive a new Land Rover Discovery Sport to get the space you need to transport your family, friends, and gear in style, or opt for the Land Rover LR4 to get a true off-road warrior. The Range Rover and Range Rover Sport make city driving easy, while the Range Rover Evoque will let you stand out on every road. We also sell a variety of used and Certified Pre-Owned Land Rover vehicles, as well as used models from other top makes. Speak with our Land Rover finance team today to learn about financing, leasing or buying your new car outright, and we’ll help you pick the option that makes the most sense for your budget. At our Land Rover dealership near Hutchinson, KS, we can also help ensure your luxury SUV stays running in peak condition. Our Land Rover and Range Rover service technicians are true experts at their craft, fully capable of helping you with routine maintenance and substantial repairs alike. Come to us for your next oil change, tire rotation or battery check, and schedule an appointment when you find yourself in need of more substantial repairs, too. We also sell OEM Land Rover parts and accessories, and you can take advantage of our Land Rover specials to save even more. 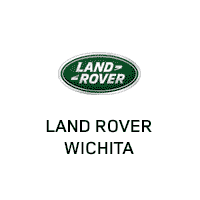 With our convenient location at 1525 N Greenwich Rd, Wichita, KS, 67206, Land Rover Wichita is easy to get to from Wellington, Lawrence and Manhattan, as well as points farther south in Oklahoma. Pay us a visit today, and let us help you upgrade your daily drives.